0800 073 8801 24 Hours Claims Line Open 7 days a week. Free Expert advice from a friendly solicitor. MIB Motor Insurers’ Bureau compensation calculator Find out the amounts you can claim? Road traffic accidents happen every day in the UK. Victims suffer a wide range of injuries, from minor whiplash to severe brain injuries. Unfortunately, such accidents are made even worse when an uninsured driver or an untraced driver is involved. If the person who has caused the accident did not have the required insurance or they fled the scene, you will still be able to make a claim. You will make your claim to the Motor Insurers’ Bureau. At Accident Claims, we have many years of experience in helping personal injury victims to get the compensation they deserve. We will conduct a MIB claim review to give you a realistic picture regarding your chances of securing compensation, as well as an overview of how much money you could receive. With our experience, you can rest assured that your claim is n safe hands. Read on to discover everything you need to know. What costs does the MIB cover? What can you claim for when making a claim using the Motor Insurers’ Bureau? Calculate How much compensation will the Motor Insurers’ Bureau award? What is the average MIB payout for whiplash? In the UK in 1946, the Motor Insurers’ Bureau (MIB) was founded. This is an organisation that compensates the victims of accidents involving untraced and uninsured drivers. If you have been involved in an accident with an uninsured or untraced driver, our guide to making a motor insurers’ bureau claim will give you all of the answers you need. You will find information on what the Motor Insurers’ Bureau does, as well as advice on the steps to take after your accident and how to go about making a claim. We will also provide details on the untraced driver agreement, average MIB compensation amounts, if you make a MIB claim how long it will take, and using a MIB compensation calculator. If you still have any questions by the end of the guide, you will find our contact number, which you can use to call us without any charge to you. The Motor Insurers’ Bureau is an organisation that awards compensation to individuals that have been involved in a road traffic accident with a driver that was not insured or fled the scene. This is a serious issue. Every year, thousands of people in the United Kingdom are killed or injured due to drivers that do not have the correct insurance or they are uninsured altogether. Not only this, but also these vehicles are more likely to be involved in collisions, as uninsured vehicles are continually utilised to conduct wider criminal activity. This is why the MIB works hard to crackdown on uninsured drivers. If you do not have suitable motor insurance in place, you will be liable for the cost of any accident that occurs, as well as any expenses relating to the claim. You could also have six penalty points added to your license, be subject to higher insurance premiums, incur a £150 fee to release your car, face court prosecution, have your vehicle seized, and get a Fixed Penalty of £300. Report the incident to the police – Make sure you do this as soon as possible. You need to report the incident within five days. Make enquiries – Make an effort to see if you can determine whom the driver of the vehicle is. Contact your own insurance company – If your vehicle has been damaged, it is important to contact your insurer. Get witness contact information – Get the contact details of anyone that witnessed the accident. Make enquiries to determine whether to motorist is insured or not – You can use the MIB database to find out whether this is the case. Gather details about the driver and the vehicle – You should get the driver’s contact information, as well as making a note of the vehicle make, model, and registration plate. Get the contact information of any witnesses – Witness statements are extremely effective in boosting compensation claims. Take photos – If there is any damage to the scene, it is a good idea to take a few photographs using your smartphone. Call your insurance company – If there has been any damage to your vehicle, it is important to call your insurance company to make a claim for the repair. Collect as much information as you can regarding your financial losses – Make a record of all financial losses you have encountered due to the accident, and keep proof of them too. What should you do if the driver did not give you their details? If the driver of the other vehicle has refused to give you their details, you should launch a formal complaint to the police. It is a criminal offence to refuse to give insurance details. The MIB cover all types of road traffic accidents. This includes accidents involving HGV vehicles, pedestrians that have been hurt in road traffic accidents, van accidents, motorcycle incidents, cycle accidents with another road vehicle, and car accidents. 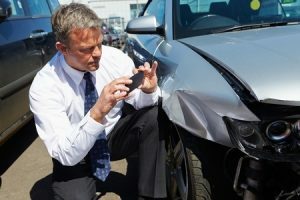 The Motor Insurers’ Bureau will pay out compensation for anything that would typically be covered by a motor insurance policy, for example, the suffering and pain your injuries have caused and vehicle damage. You can also claim for adapting your car and home to meet your needs, for example, installing a stair lift and wheelchair ramps, loss of earnings, and any over financial costs you have suffered due to your injuries. The MIB claim process is straightforward when you work with Accident Claims. When you make contact us, we will provide you with a no-obligation consultation, free of charge. This will include us querying about what happened to you. This is nothing for you to worry about; it is only so we are able to accurate and effective advice. It also gives you the chance to ask any queries you have, be it about the MIB untraced drivers agreement or how much you are likely to receive when claiming. You can also find more information about making a claim with the Motor Insurers’ Bureau via their website. Click here to view it. The MIB handles more than 20,000 claims every year against untraced motorists and uninsured motorists. Their website contains plenty of useful information, including the Motor Insurers’ Database. This is the only central database in the UK for insured vehicles. We also often get asked: If I make a MIB claim how long will it take? The MIB claim process does differ from claim to claim. Some cases are a lot easier than others, but we will always endeavour to get your claim resolved as quickly as we can. Very severe brain damage £214,350 - £307,000 For these cases, the person who has been injured will usually not have any response to their environment. The exact payout will be based on numerous factors, ranging from the person's physical limitations to how much insight they have. Moderately severe brain injury £166,500 - £214,350 The claimant will require continual care. They will also be severely disabled due to the road traffic accident. Moderate brain injury £32,725 - £114,100 The person's dependence on other people will play a role in determining the payout they receive, as well the impact of the injury on their personality and the extent of intellectual deficit. Less severe brain damage £11,650 - £32,700 From whether the person has suffered with depression to the extent of the original injury, there are numerous factors considered when determining the payout amount. Minor head or brain injury £1,675 - £9,700 The claimant may not have sustained brain damage. If they have, it will only be minimal. There are many other factors considered, including, how severe the original injury was. Minor back injuries A few hundred pounds - £9,500 You will receive a payout of a few hundred pounds if you are expected to make a quick recovery. Other factors are considered too, for example, if you can work due to your injuries or not, as well as the treatment you have needed. Moderate back injuries £9,500 - £29,475 Injuries that fall into this category include the like of soft tissue injuries, ligament disturbance, and muscle injuries. Severe back injuries £53,000 - £122,350 Spinal cord damage and nerve root damage will demand a higher payout. Minor neck injuries A few hundred pounds - £6,000 Minor cases of whiplash will typically fall into this payout category. The exact amount you get will depend on numerous factors, from how much pain you are in to any other symptoms you have encountered. Moderate neck injuries £6,000 - £19,000 Most claimants in this category have already had a condition that has gotten worse due to the accident, as well as fractions and dislocations. Severe neck injuries £34,575 - £112,750 The higher level of payout is for extremely severe injuries, for example, spastic quadriparesis of a permanent nature. Loss of anticipated earnings £10,000 - £400,000 Are you expected to miss work in the future? If your doctor has predicted that you will need a considerable period of time at home, you can claim for any money you will lose in the future. This is based on how much you earn at the moment, and future earning potential is taken into account too. Although £400,000 is stated as the maximum payout, there have been cases whereby people have received more than this. Loss of benefits £5,000 - £500,000 When someone sustains an injury, they will usually have to take some time off work while they recover from the symptoms they are experiencing. If this applies to you, you can claim for any income you have lost as a consequence. Although £500,000 is stated as the maximum payout, there have been cases whereby people have received more than this. If you do not see the injury you have sustained in the table of MIB claims payouts above, all you need to do is give our team a ring on our MIB claims contact number and we will happily advise you further on the typical payout amount. We often get asked: how much do the MIB payout for whiplash? After all, whiplash is the most common injury sustained due to a road traffic accident. Unfortunately, it’s impossible to give a definitive answer to that question, and the average MIB payout for whiplash really does depend on the severity of your condition. Some people will make a recovery from whiplash within a matter of weeks, in which case they will be awarded several hundred pounds in most cases. However, there are also those who suffer lifelong consequences due to whiplash, which could lead to a payout in excess of £100,000. If you cannot find an injury that relates to the type of symptoms you have sustained in the table above, all you need to do is give our team a call and we will be more than happy to explain how much compensation you are likely to be looking at. While there are many solicitors who will claim to be the best choice when filing an MIB uninsured claim form, you should only ever consider those who operate to a No Win No Fee payment structure. You can rest assured that this will always be the case when you work with us. With this approach, you don’t pay legal fees until compensation is successfully secured. If, for some reason, your claim is not a success, you won’t need to pay a penny. Therefore, you always have the security that compensation covers the cost – you won’t be out of pocket. And, don’t worry; your solicitor won’t take all of your payout. The overall fee is limited to 25 per cent, so you’re guaranteed 75 per cent of your compensation payout at a minimum. There are many reasons why you should opt for our service if you want to make a claim to the Motor Insurers’ Bureau. We have helped many road traffic accident victims to file a MIB claim form and secure compensation. With over 40 years of experience in the industry, our expertise speaks for itself. We also pride ourselves on our customer-centric approach. We aim to secure your payout efficiently and with as little hassle to you as possible. If you read the feedback that has been left by people that have worked with us before, you will see that we are the best choice for you when it comes to securing MIB claims payouts. Accident Claims can help you to get the compensation you deserve. If you are ready to get started, you can reach our team of experts on 0800 073 8801. We will also happily answer any questions you have, and you have no obligation to continue with our service by getting in touch. You can also reach us by requesting a call back via our website. Once you are connected to one of our experts, they will give you a realistic assessment of your case, as well as talking you through the MIB claim process. If you decide to proceed, we will match you to the best solicitor based on the ins and outs of your claims, ensuring you have the best chance of getting the MIB maximum payout. This link takes you to the website for the Motor Insurers’ Bureau. Not only will you find information on making a claim, but also you can access the Motor Insurance Database, which is the only central record of all vehicles that are insured in the United Kingdom. This link takes you to the UK Government website where you will find information on claiming compensation if you have been the victim of a hit and run. You can download the government’s ‘making a claim’ guide. This link takes you to road accident and safety statistics in the UK since 2010. You can download data tables and publications from the Department for Transport. Whiplash is one of the most common injuries sustained due to a road traffic accident. This page from the NHS reveals everything you need to know about the condition, including the symptoms of whiplash, as well as the treatment, causes, outlook, and details on when to get medical advice.